Can the scrolling behaviour be simplified? Hi, I would like to make styling on the candlestick stroke of each tick by different situation, like if open > close show red stroke and on reverse in blue color stoke. I have extended the PaletteProviderBase and implemented the IStrokePaletteProvider and IFillPaletteProvider interface, it seems that it always render the black stroke, but the filled color was correct as expected. Is there any way to custom the stroke color by case? Thanks! I use the same approach as this suggested (candlestick-chart-coloring) , it seems in 2.0.0 cannot style the stroke as this way. I’ve encountered an issue with the candlestick graph I’ve drawn that consists of a set of random X date time values – this causes the candlesticks have varying distances from one another. In fact, the initial data points that I added see to be rendered ‘body-less’ if it’s within the same visible range as the newly added points. And if I pan along the newly added points, the bodies of some data points will appear at random visible ranges. Is this a normal behaviour or should I take anything else into consideration? 2. Candlestick series style data body width is set to be default. 3. I have a the following modifiers set up. The points are drawing just fine, but the body of the candlestick is not appearing as expected. 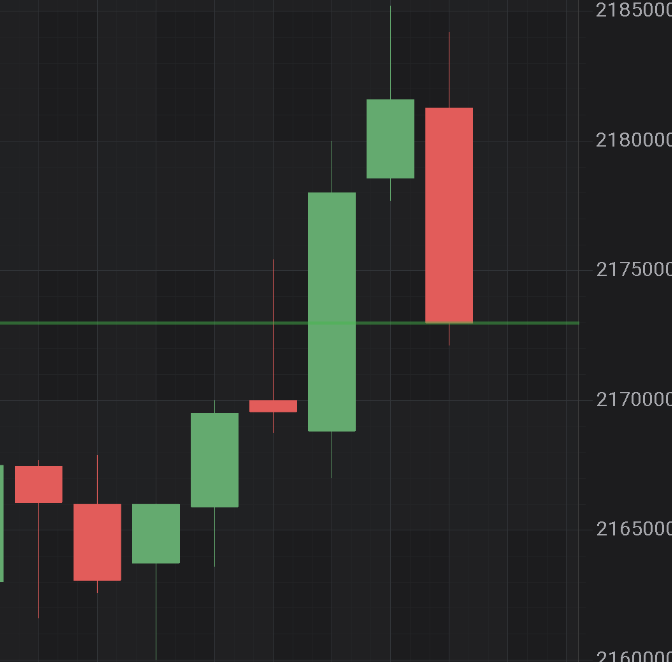 what I’m trying to achieve is displaying Candlesticks in a real time stock chart with added space between price bars. This empty space is very important as it’ll allow me to show further information regarding volumes per price level. You can have a better understanding of what I’m trying to achieve by having a look at the following image. I’m already at the point where I’m rendering both the candlesticks and labels correctly (via textannotations). It’s just that the whole graph is crowded and impossible to understand as annotations and price bars overlaps each other. Can we give Black Border to Candles in Candle Stick chart.